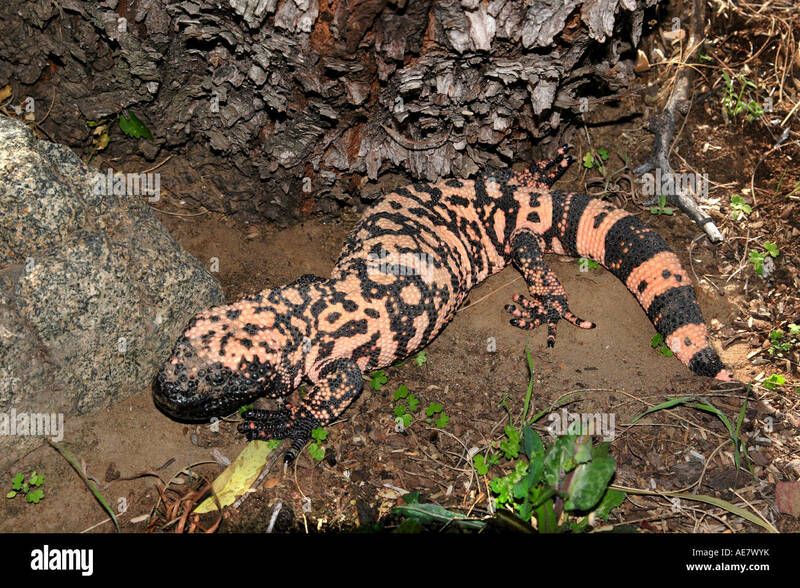 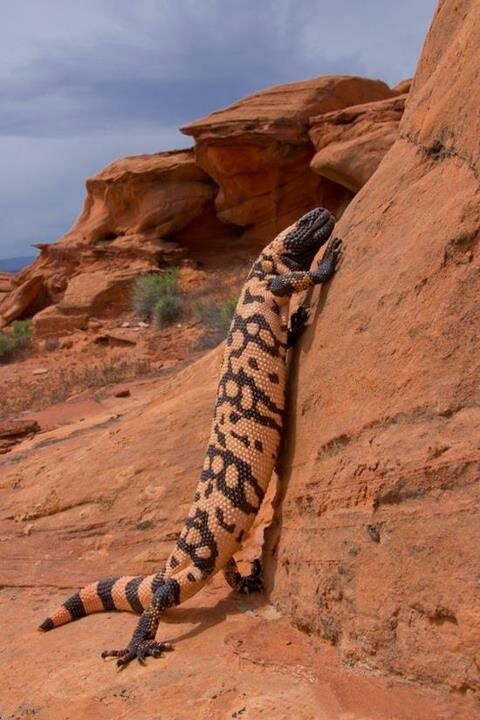 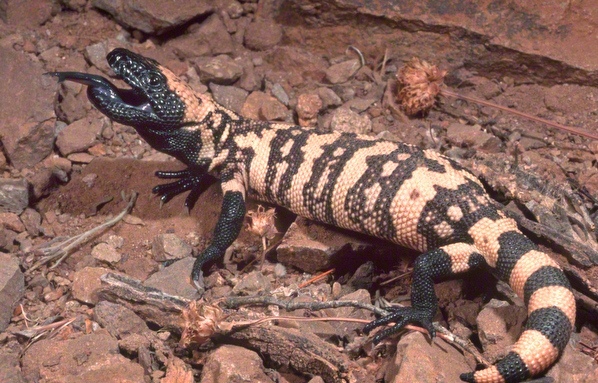 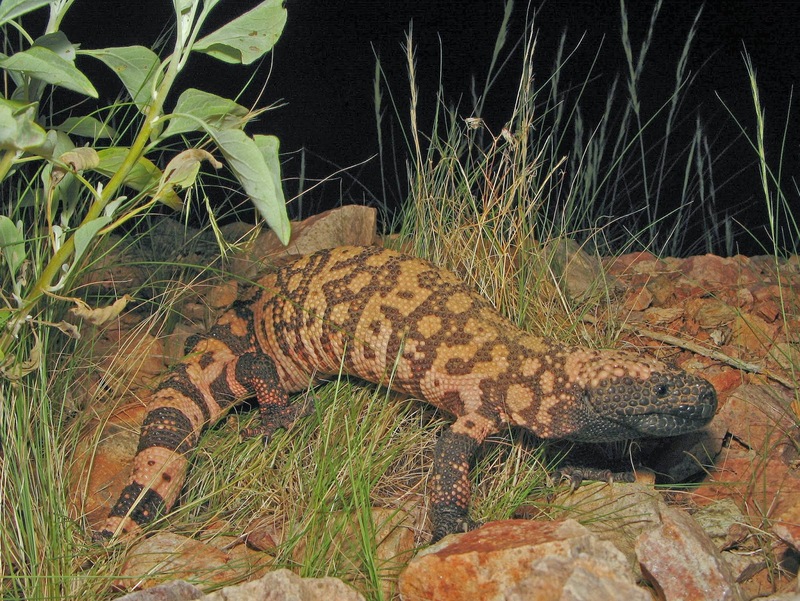 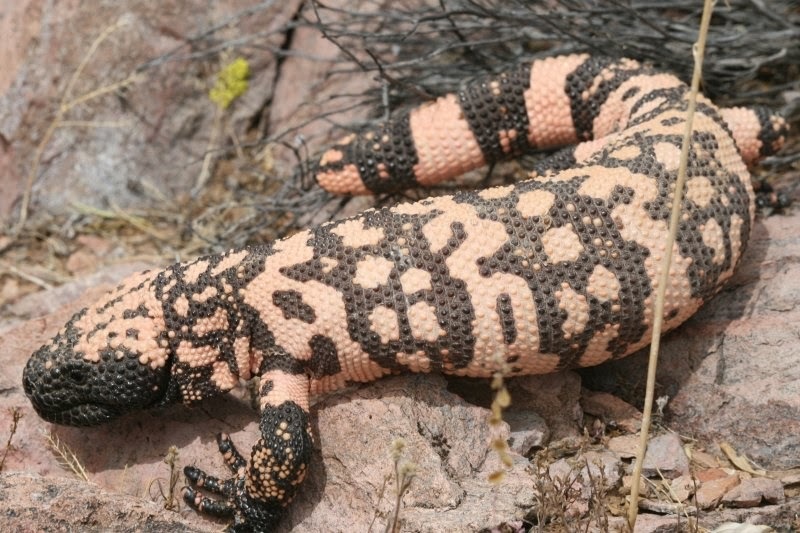 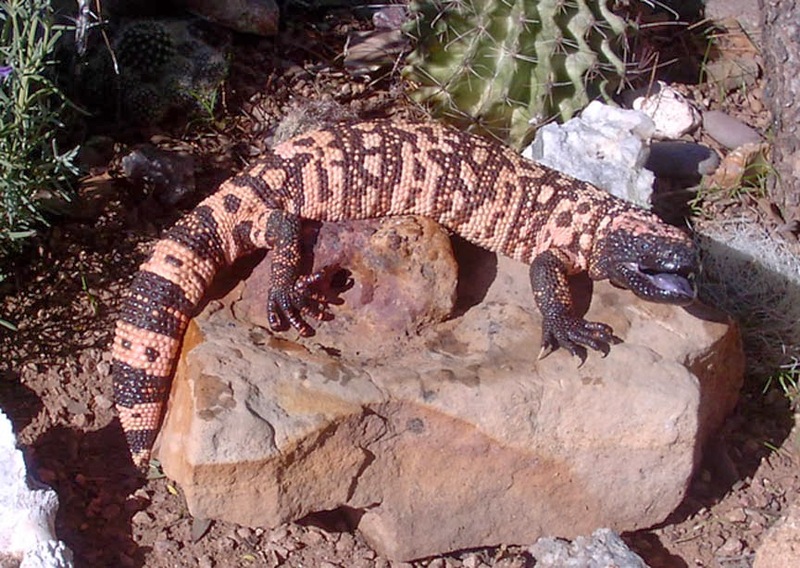 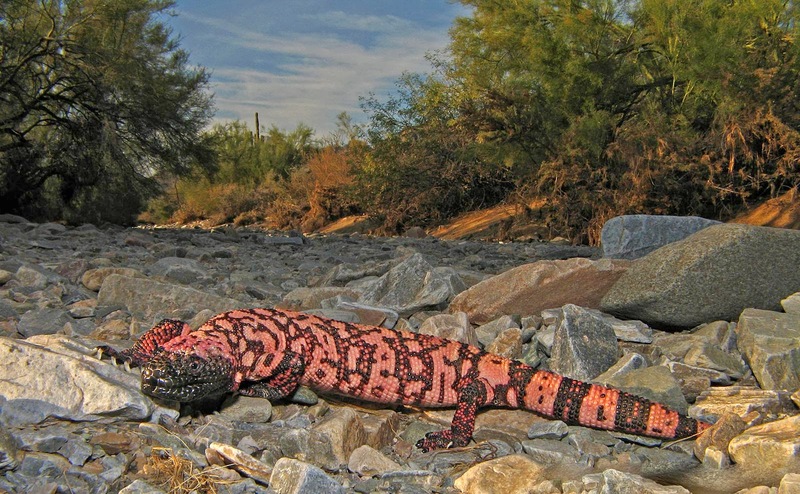 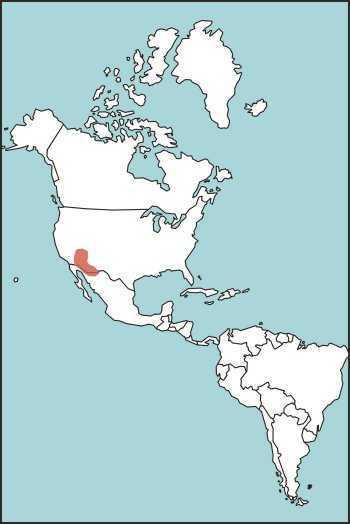 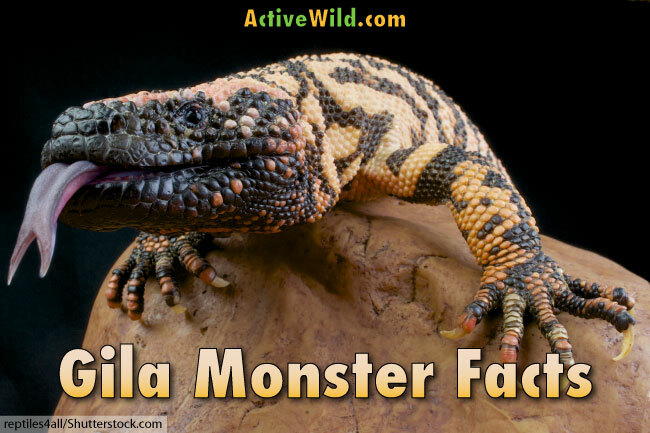 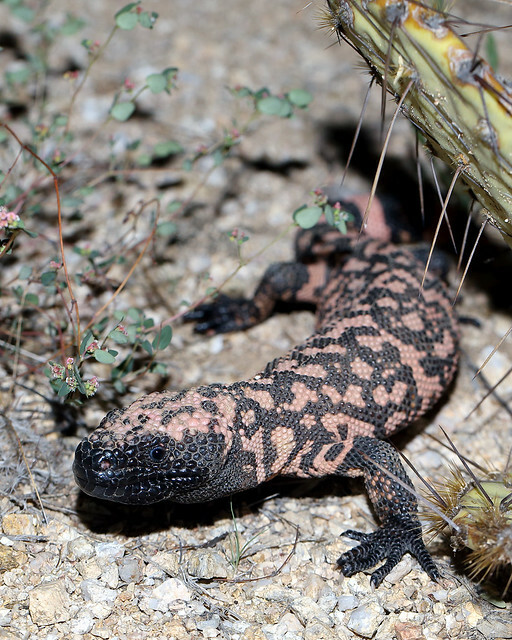 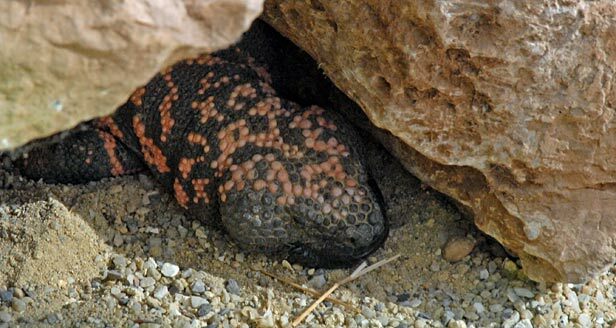 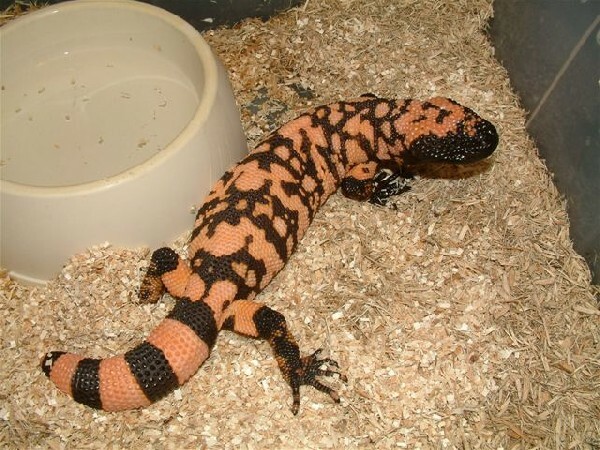 The Gila monster (Heloderma suspectum, /ˈhiːlə/ HEE-lə) is a species of venomous lizard native to the southwestern United States and northwestern Mexican state of Sonora. 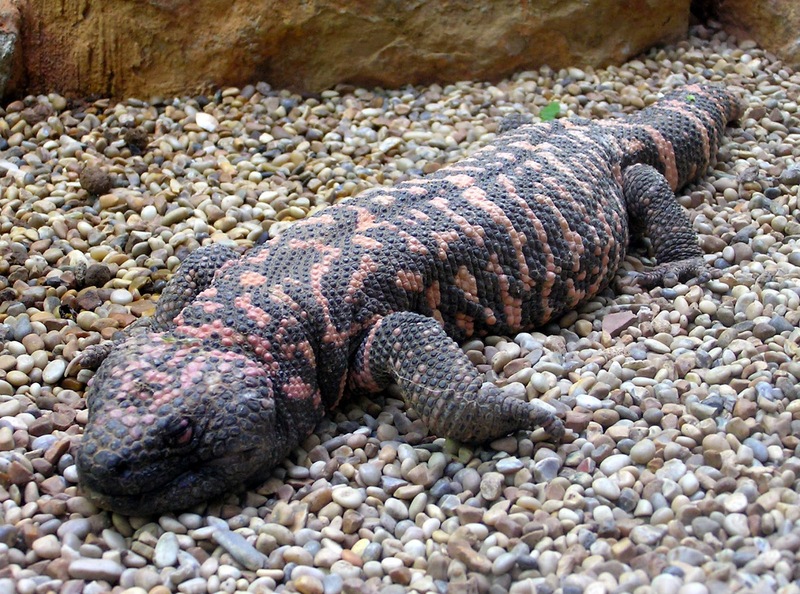 A heavy, typically slow-moving lizard, up to 60 cm (2. 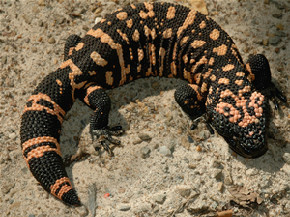 0 ft) long, the Gila monster is the only venomous lizard native to the United States and one of only two known species of venomous lizards in North America, the other being its close relative, the Mexican beaded lizard (H. horridum). 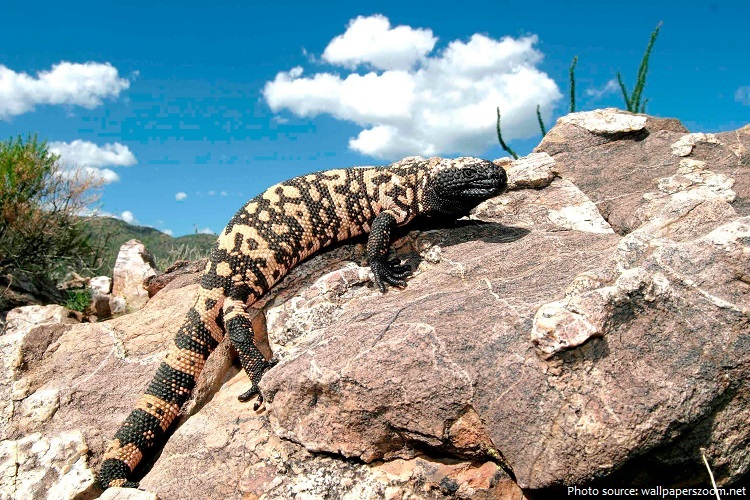 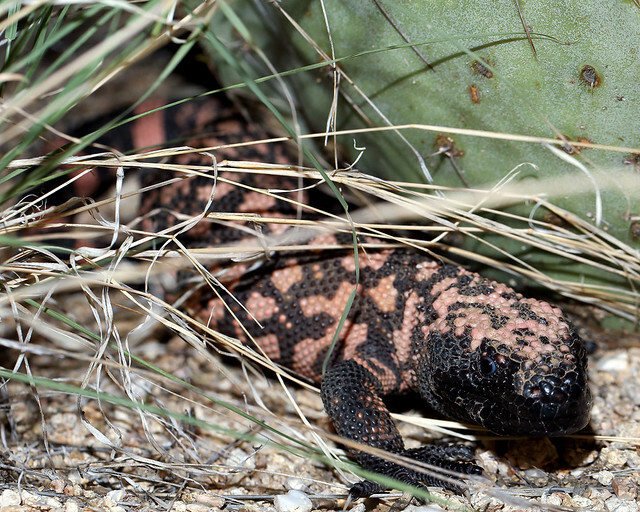 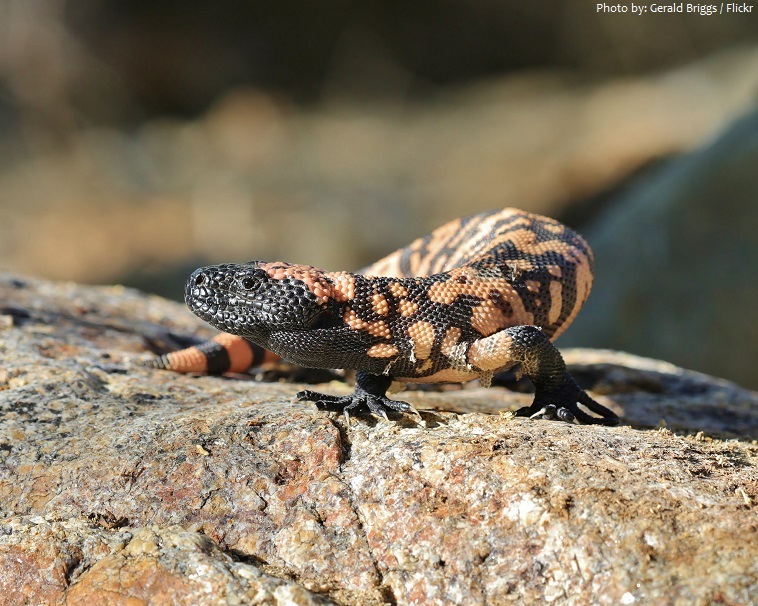 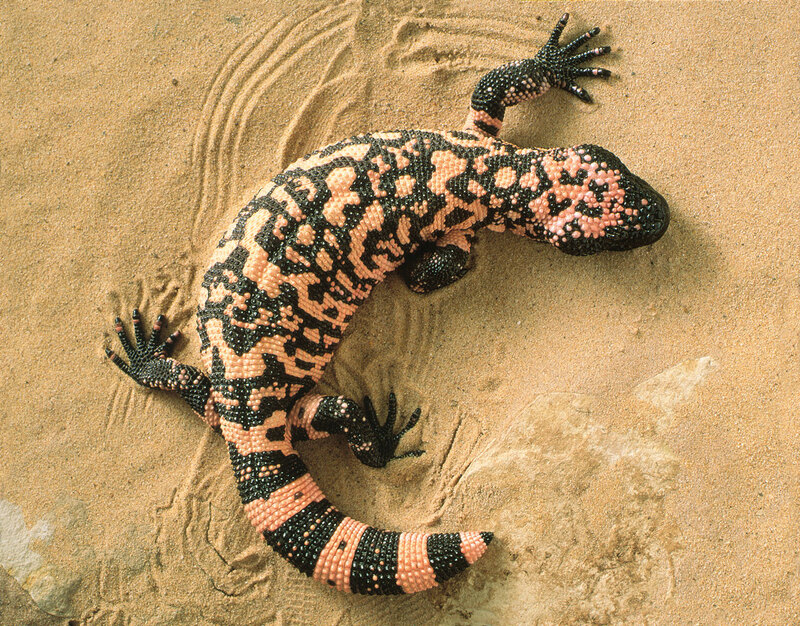 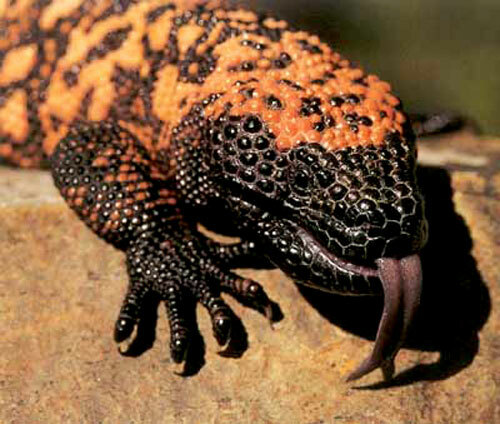 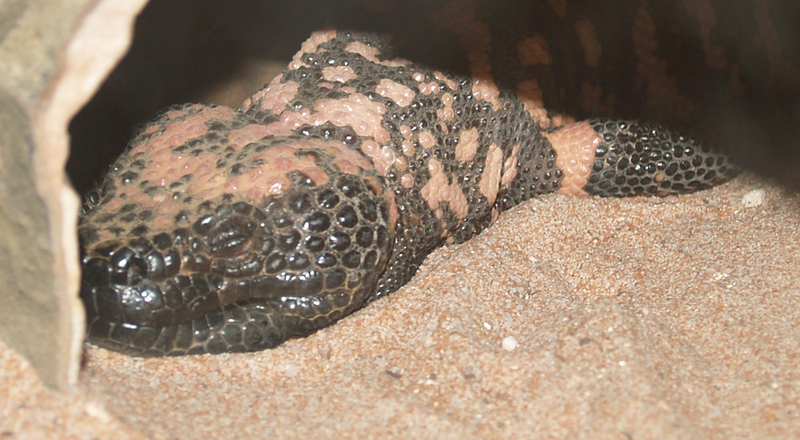 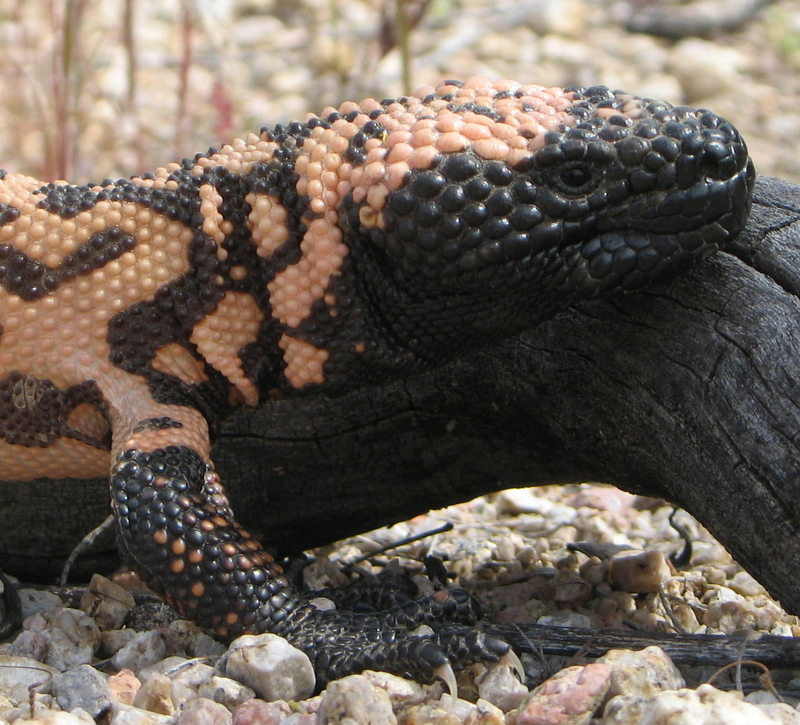 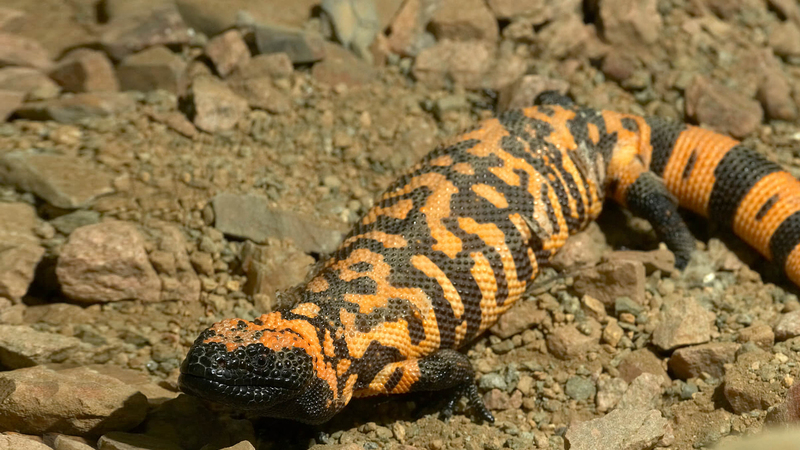 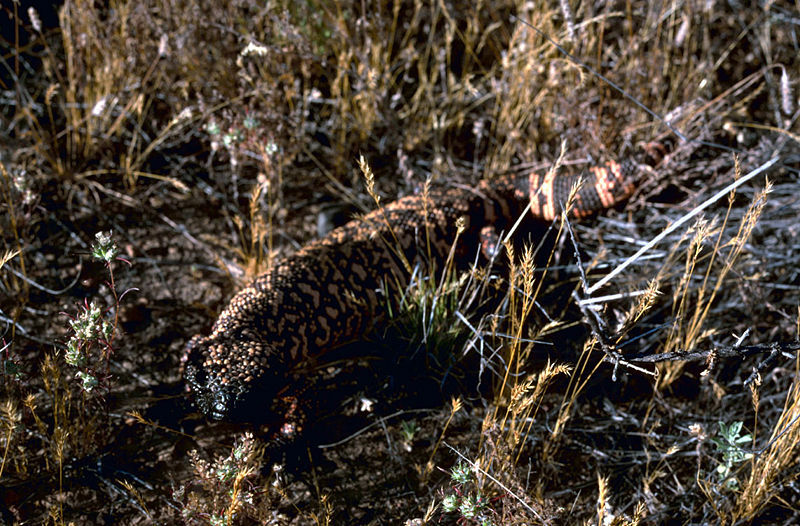 Although the Gila monster is venomous, its sluggish nature means it represents little threat to humans. 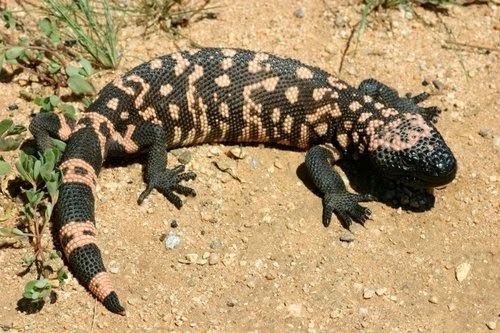 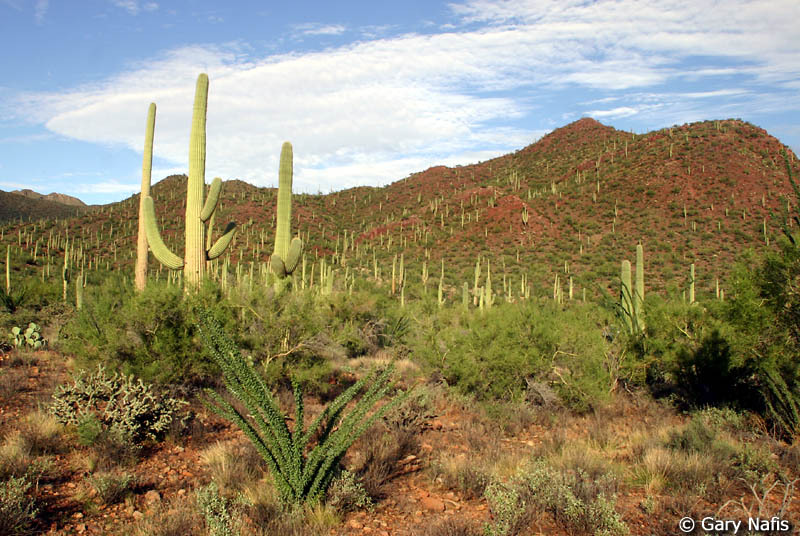 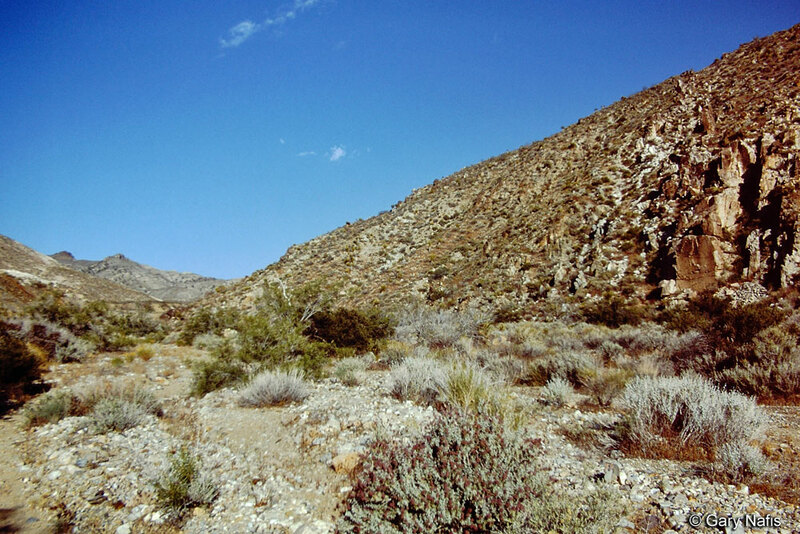 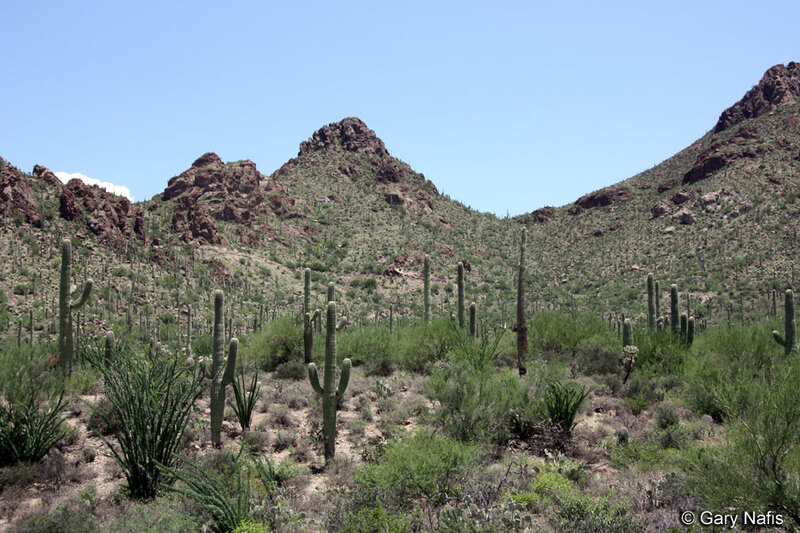 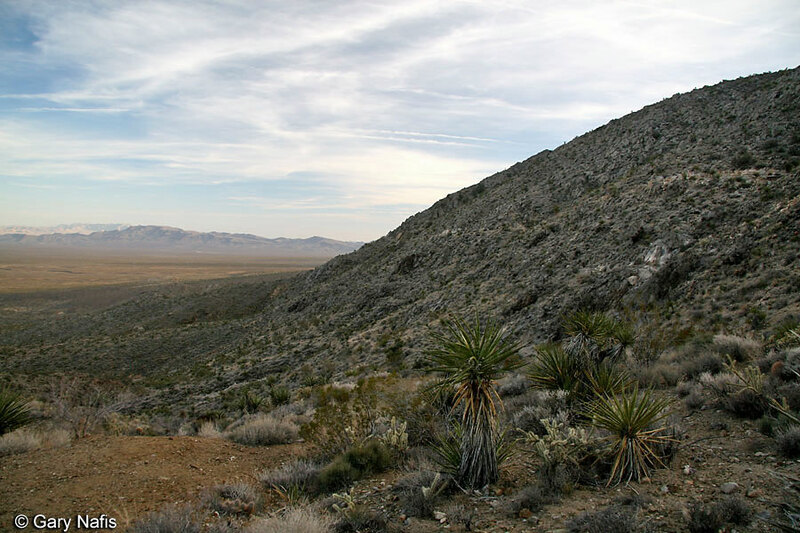 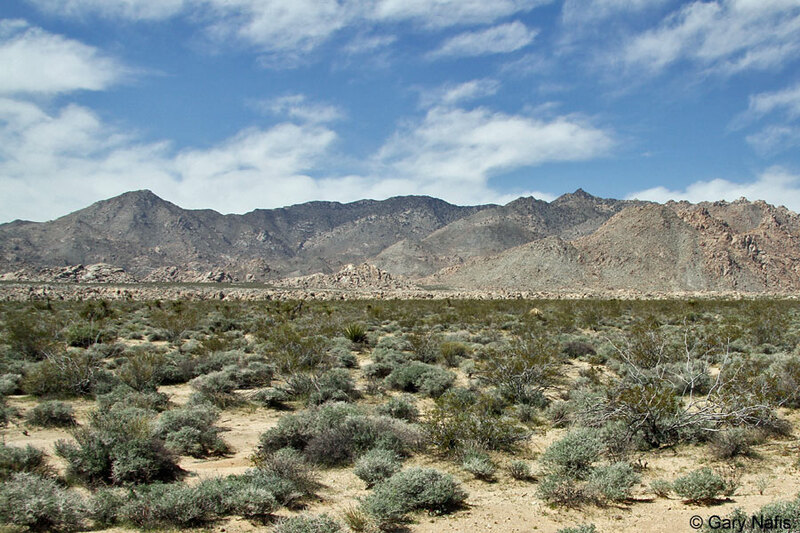 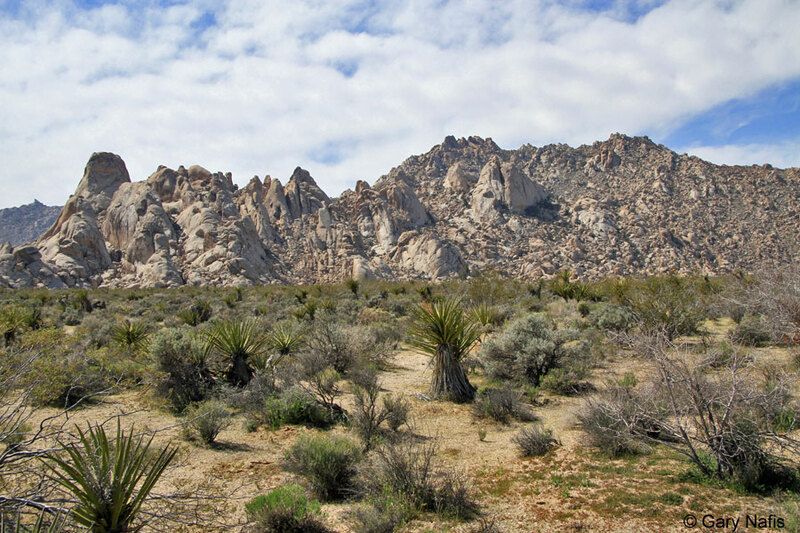 However, it has acquired a fearsome reputation, and is sometimes killed despite being protected by state law in Arizona.